It’s no secret that there is an underrepresentation of females in the field of engineering. Here at Hoyle, Tanner, we recognize diversity and inclusion as an instrumental part of making sure we are developing the best solutions to our region’s challenges. That is why we are participating in Girl Day, a recognized day of Engineers Week that is specifically geared toward generating awareness and educating young females about the opportunities available to them within the industry. 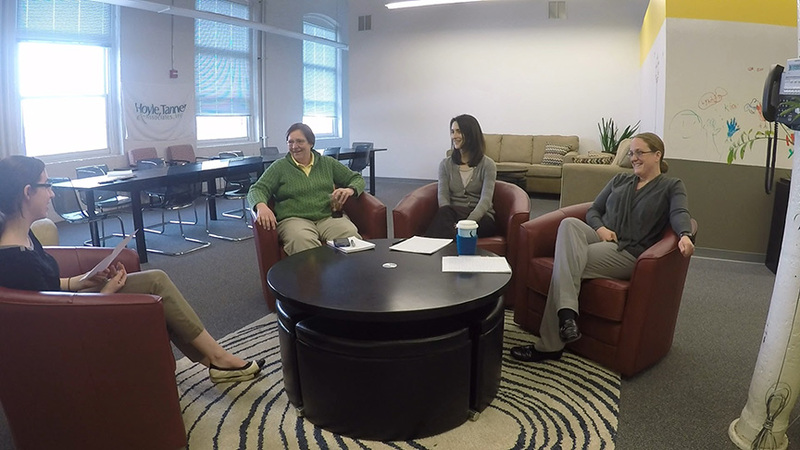 The gender gap in the industry can also be attributed to a matter of confidence. 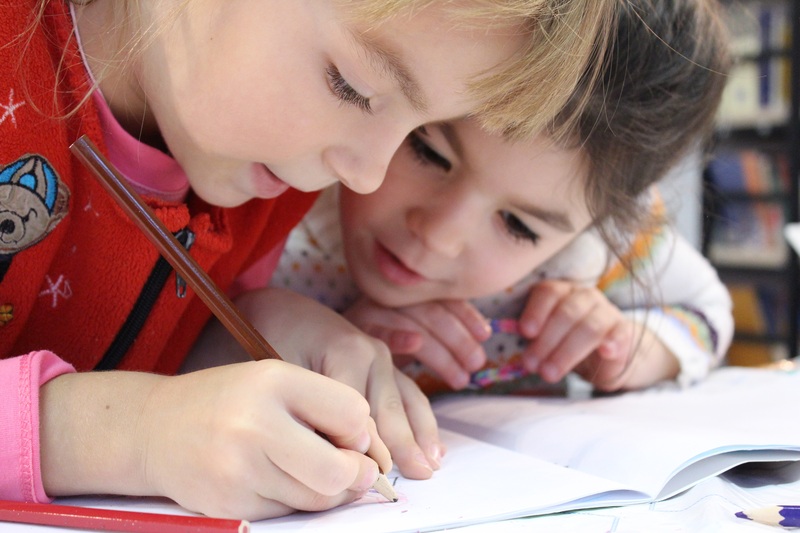 Studies show that when asked to assess their math abilities, female students tend to report lower capabilities despite equal levels of class achievement compared to their male counterparts. There are many ways to encourage young girls to learn more about engineering, whether it be hosting events at your firm, visiting classrooms, or providing extensive access to role models or mentors within the field. However, if we are going to be successful in closing the gap and boosting the number of female engineers in future generations, we need to shift the focus of the conversation. By participating in Girl Day, we at Hoyle, Tanner hope to play our part in encouraging young women to study engineering. As a firm, we are proud to celebrate our female engineers and recognize how diverse minds at work help to increase the success of our projects. The majority of our nation’s past presidents came from an academic or professional background — such as law, writing or education — rather than a technical or scientific one. In honor of President’s Day and as the kick-off to this year’s annual Engineers Week, we are celebrating five unique presidents who proved to have minds for engineering. Most famous for being the first President of the United States and cutting down cherry trees, many people are not aware that amongst George Washington’s many talents was a knack for both geography and cartography. In fact, Washington spent his early professional career as a surveyor before some of his more distinguished endeavors as a business man, war hero and president. History shows that when serving as a military officer during the revolutionary war, Washington preferred to create his own field sketches as opposed to having them drawn up for him. Perhaps one of the most famous and influential figures in United States history, our third president, Thomas Jefferson, certainly thought like an engineer. Although classicism was his official expertise, Jefferson is often celebrated as America’s first great native-born architect. Even more impressively, Jefferson was self-made, gaining all of his architectural knowledge from books because of the lack of schools in colonial Virginia. Evidence of our founding father’s talent can be seen at the University of Virginia, or the state capitol building in Richmond, Virginia (both of which he designed). Jefferson’s work is uniquely American and still influences modern day architecture. Most famous for abolishing slavery, our 16th president of the United States, Abraham Lincoln is known as both a successful lawyer and politician. However, most people are not aware that Lincoln spent a great deal of time studying mathematics, which qualified him for his early career as a land surveyor. In fact, in fall 1833 Lincoln spent countless days and nights pouring over texts such as Gibson’s Theory and Practice of Surveying and Flint’s Treatise on Geometry, Trigonometry, and Rectangular Surveying, both of which prepared him for making measurements in the field. President Hoover is the only president who had an official background in engineering. In 1985, he graduated from Stanford University with a Bachelor degree in mining engineering. Before winning the presidential election by a landslide in 1928, Herbert Hoover had a colorful career. The 31st president of the United States built his foundation working around the world on mining and railway projects, participating as a member of several war boards and councils and also serving as the Chairman of the American relief administration engaged in children’s relief in Europe. President Hoover greatly enjoyed his work as an engineer and spoke of the profession in high regard. Next to President Hoover, Jimmy Carter is the second closest of all 45 presidents to have an official background in engineering. He attended the Georgia Institute of Technology for one year before enrolling in the United States Naval Academy at Annapolis where he received a Bachelor of Science degree and became a submariner. While serving as a submariner in Schenectady, New York, he took graduate classes at Union College in reactor technology and nuclear physics. Carter served in the United States Navy for seven years on nuclear submarines. In fact, Carter was preparing to become the engineering officer in 1953 for the Seawolf before he abruptly resigned in the event of his father’s passing. Carter’s love for engineering is evident in the years following his presidency through his extensive work for Habitat for Humanity. In the United States, National Engineers Week is always the week in February which encompasses George Washington’s actual birthday, February 22; President Washington is considered the nation’s first engineer. It is observed by more than 70 engineering, education, and cultural societies, and more than 50 corporations and government agencies. The purpose of National Engineers Week is to call attention to the contributions to society that engineers make. It is also a time for engineers to emphasize the importance of learning math, science, and technical skills. 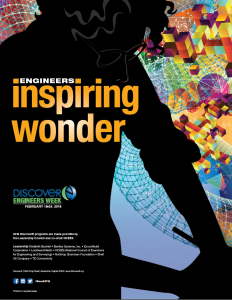 This year’s theme, “Engineers: Inspiring Wonder,” is a call to recognize the people who create today’s awe-inspiring wonders like cloud-busting skyscrapers and human travel to Mars. Our lives would be very different without daily marvels like clean drinking water, computers, and cars. Attend the Engineer’s Week Banquet to celebrate the 2018 NH Engineer and Young Engineer of the Year.